This is Zamorana, she is a fantastic PRE Mare with a heart of gold. She is highly schooled and has the potential to do FEI level dressage. Right now on an advanced medium level but soon she could do a PSG. 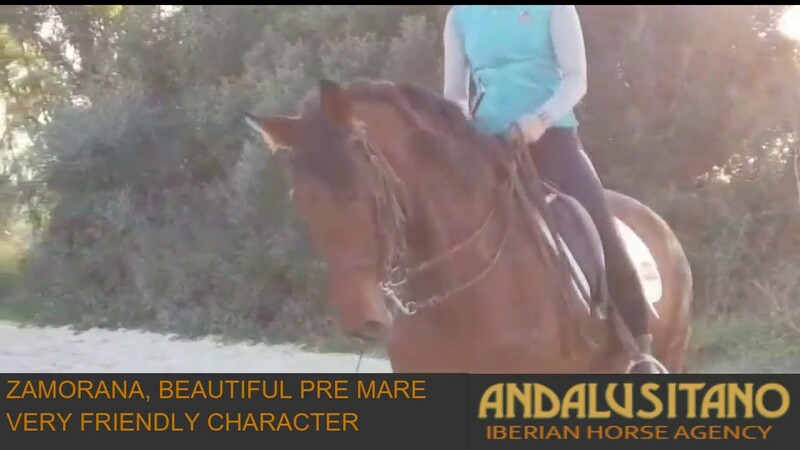 This pretty mare is very kind and is currently doing all the lateral exercises, a flying change, some piaffe and Spanish walk. She has a sensitivity about her but she is very eager to please. She enjoys the interaction with humans and has a really gentle nature and way about her. She loves cuddles and attention! You can see in her eyes that she has a beautiful soul. She would be absolutely ideal as a second horse for someone who could bring her on. She needs a rider that likes that she is sensitive, she is not a horse that you have to push around the school, she has a lot of her own energy to give that makes her a fun horse to ride. She really will make a great companion and best friend.